It’s finally time for the annual Comic Con convention in San Diego! This is the second time we’ve gone back to make some connections and meet folks at the Con. If you’re unfamiliar with the humongous San Diego Comic Con…..I wonder what rock you’ve been living under. AAAY! Seriously — tens of thousands of comic book, science fiction, gamer, movie and TV fans gather to talk about the craft, the stars and just plain pleasure of Comic Books. Many of the major film studios, television networks and of course, Comic Book publishers gather to meet & greet the fans. It’s a tough ticket to come by — but if you pay attention, you can get those tickets early and be part of the fun. This morning (Thursday, July 21, 2010), creator Arigon Starr took the train from Los Angeles’ Union Station to San Diego to pick her credentials for the Comic Con convention. “It was a kick to go on the train. It was a mix of Comic Con people, regular folks and a bunch of decked out people going to the opening day of the annual Del Mar Races. It was a world of costumes, I tell you what!” Arigon “twittered” about seeing some gals dressed in Anime-styled outfits and an Amish father and son. “I think they were legit,” she commented. 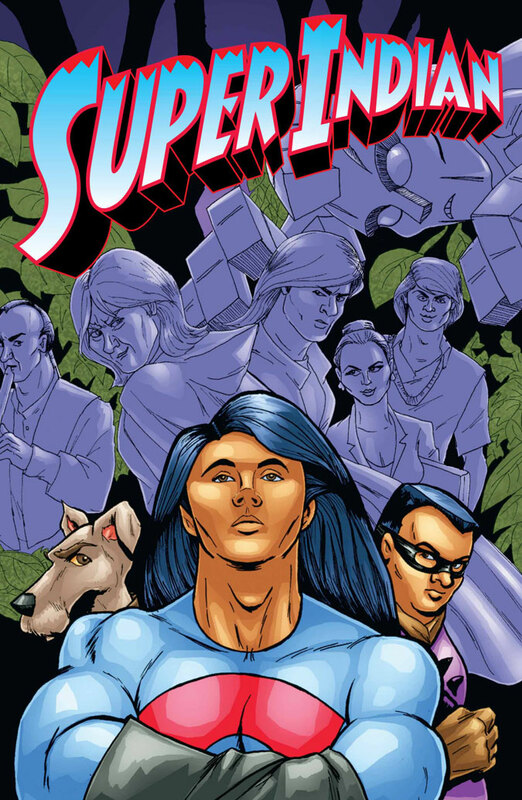 We’re also reproducing the images that adorn the latest Super Indian promotional postcard. Take a look! We’ll post photos and stories as they come in. 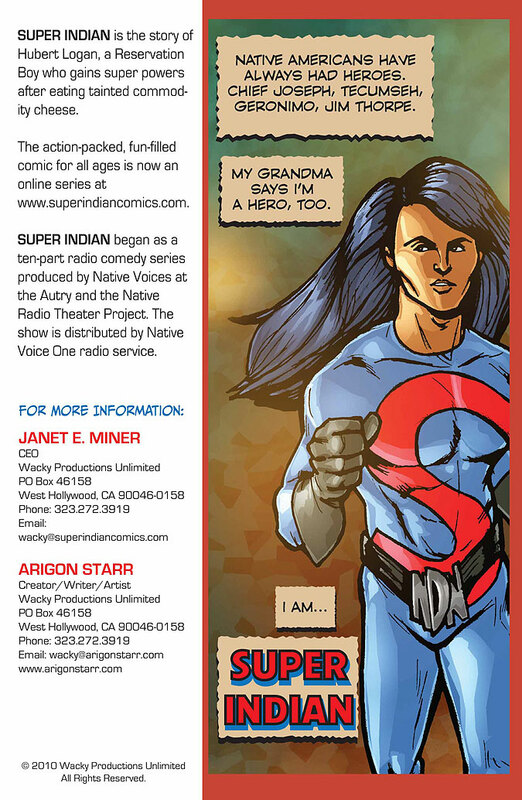 In the meantime, rest assured that “Super Indian” is creating a presence at this year’s Comic Con in San Diego! Previous The Super Indian Site Goes Live!